Turning 65 ... Over 65? Aging is a fact of life and entering into "Retirement Age" or the "Golden Years" comes with many changes. From lifestyle to employment, sometimes with physical and mental decline, there is much to adapt to as we get older. ​One of the things that has come to our attention is something occurring with Medicare Supplement Insurance (Medigap) and seniors. It has become a MISSION to help seniors in this area at NO COST to them. Why? ​Because seniors are being overcharged, some of them don’t understand all the rights and benefits they’ve earned, and insurance companies selling direct (aka a “captive agent”) charge them more, selling a higher priced plan when the same plan from a different company would cost much less. With 250,000 people turning 65 every month, there is a real need for help in this area. A recent survey shows that nearly 90% of those who have already turned 65 are overpaying for their Medigap insurance. The solution may be as simple as consulting with an independent agent who will not just sign them up and then let their rates rise over the years, but who will check in annually to ensure they get the best rate. One of the most important benefits of working with and independent agent is they get an advocate who will look out for their best interests. ​No one wants to pay more, not when they can get the same coverage for less. This is where we can help. We have federally certified independent agents ​currently licensed with the top insurance companies in MI, TX, OH, LA, and IA, and will continue adding states as new clients arrive. We can help seniors turning 65 understand the complexities of Medicare, and find them the best possible supplement coverage and price. We can help seniors over 65 whose original agents have left them with high priced supplement plans by finding them new coverage with equal or better benefits for less money. And finally, we can help seniors who want to move off Medicare Advantage get back to Original Medicare. 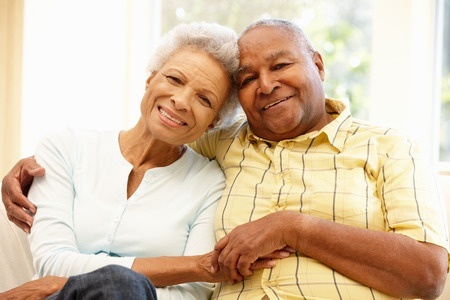 ​Click here to learn more about Medicare Supplement or Gap Insurance. ​Worst case scenario, we can confirm that they're getting a good deal already. Best case, we can help them SAVE a lot of money -- for FREE. DISCLAIMER: This site is intended for research and educational purposes only. The products and claims made about specific products on or through this site are not intended to diagnose, treat, cure or prevent any medical disease. Information is not intended as a substitute for advice from your physician or other health care professional or any information contained on or in any product label or packaging. Always consult with a health care professional prior to starting any diet, exercise or supplementation program or if you suspect you might have a health problem. Links to products may be affiliate links and we may earn something for referring you to them.